Should North Wildwood change its name to Anglesea? North Wildwood residents have a big question to decide; Whether to remain associated with the Wildwoods or leave. It’s sort of a Jersey Shore version of Brexit but instead of thorny issues like immigration fueling the move it’s more about a town expressing its own identity, according to organizers. There’s an outside chance that things could move quickly. A plan for North Wildwood to change its name to Anglesea could be up for vote as early as November. This week Ed Wheaton showed up at a city council meeting with 105 petition signatures that ask for the name-change question to be put before voters. 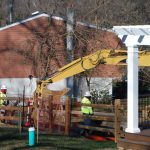 Wheaton’s action are likely to reverberate beyond the city limits because North Wildwood is part of the Wildwoods. Wildwood has a reputation for being a bit wild. It attracts a lot of young adults who enjoy the area bars, restaurants and concerts. It sometimes results in rowdy crowds and drunk people. It’s not everyone’s cup of tea. Anglesea was founded as a fishing village in 1885 but renamed itself North Wildwood in 1906, as a means to tie in with Wildwood’s growing popularity as a swanky resort town (yes, once upon a time – long before the Doo-Wop era – Wildwood was swanky). 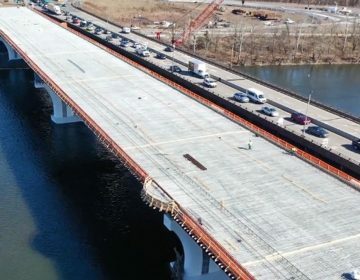 Whether the name change could be a binding or non-binding referendum is still being investigated by the city clerk and lawyers, as is a timeline for the entire process, explained North Wildwood’s mayor, Patrick Rosenello. The next step will be for the North Wildwood City Council hear public comments and then decide whether it should be put on the ballot. If the council approves a binding referendum it will require a petition containing signatures from 30 percent of the number of voters (approximately 600) who participated in the last local election. Researching state statutes will take a bit of time as the information cannot be culled from computer databases. 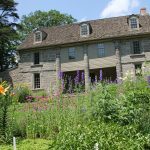 “Because obviously we haven’t done it in 110 years, it’s not something at everyone’s fingertips,” Rosenello noted. Wheaton says family and friends are largely behind the petition, which was inspired by the annual Anglesea Day founders’ celebration. Restoring the original name is a means for the city to step out of the shadow of Wildwood and establish its own identity while honoring its past. “We think it better reflects our community,” Wheaton said. In Wildwood, news of the petition has bruised some feelings with Mayor Ernie Traiano Jr. taking offense at the notion. 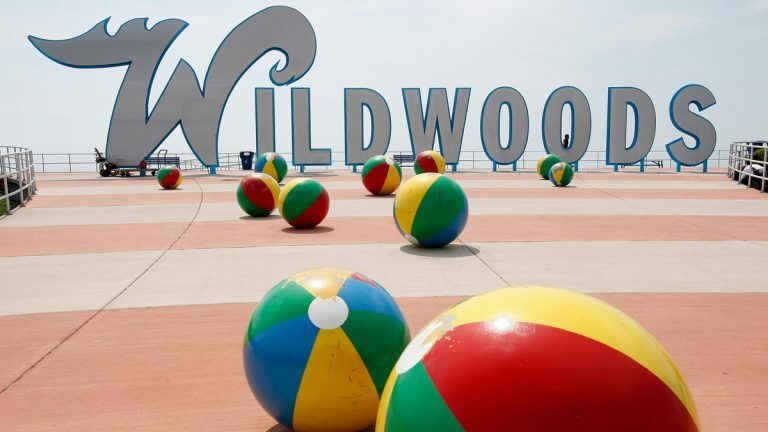 “It would be safe to say I’d take great umbrage to that,” said Traiano Jr. “I’d be willing to cut the S right off that Wildwoods sign,” he recently told the Press of Atlantic City. 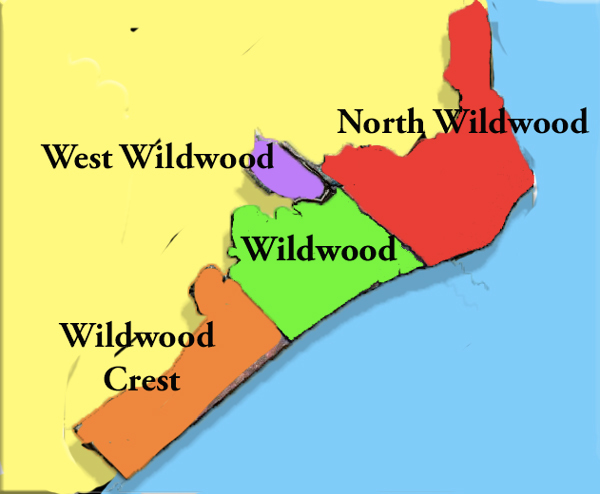 Wheaton says the idea of changing North Wildwood’s name has nothing to do with Wildwood’s reputation. It is, he says, about North Wildwood reclaiming its identity. It’s also personal for Wheaton. His great-grandfather, Harry C. Wheaton was once mayor of Anglesea (and later went on to become state senator). Also, the name Anglesea is still very much associated with North Wildwood. Anglesea Volunteer Fire Company No. 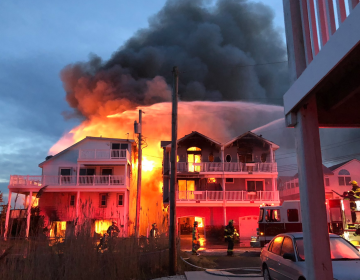 1 has been putting fires out since 1897, The Anglesea Pub has been operating since 1885 and in July North Wildwood hosts its annual Anglesea Blues Festival. 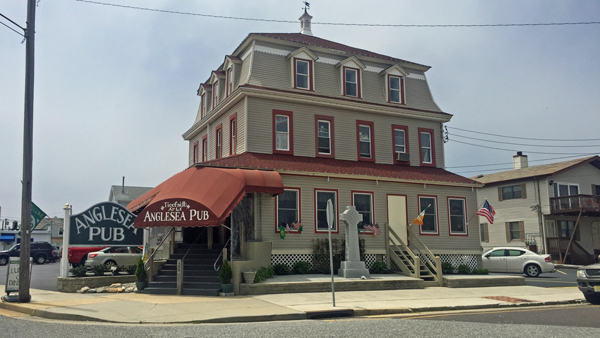 Angelsea Pub in North Wildwood, N.J.
North Wildwood city councilman, Joseph Rullo says the idea of a name change is exciting and thought provoking, but serious research must happen before any alteration takes place. 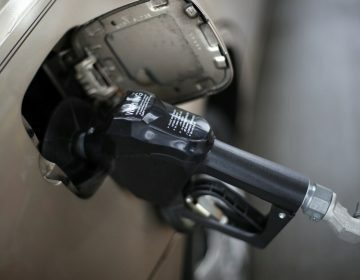 Of the numerous aspects to consider, the most important will be how such a change will impact the local economy, learning what costs are involved in changing signage and city vehicles and hearing how other towns who’ve changed identity have fared. 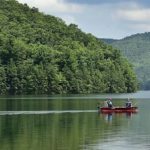 “We’re far, far away from any kind of drastic move to renaming the town. No one is going rush into this,” he assured. As a North Wildwood business owner (Shoobie’s Good Eats and Echoes bar), Rullo says his establishments serve the whole island and likely would not suffer any negative impact from a name change. The issue of name change has been kicked around in private for several years, but is finally being discussed in a public forum, Rosenello said. At some point, it will definitely make it to the ballot. In the meantime, the petition is a conversation starter. The majority of folks he’s talked with have expressed mixed feelings, mostly because they hadn’t before considered a change, he shared. Ultimately, voters will decide which course to take. Rullo says he believes a a non-binding referendum would be the best way to move forward. Wheaton, on the other hand, is hoping for the opportunity to gather more signatures for a binding referendum. As part of that effort, Wheaton’s niece, has started a hashtag campaign #rediscoveranglesea to get the word out. “It will spark a lot of talk in town this summer,” Rullo surmised.